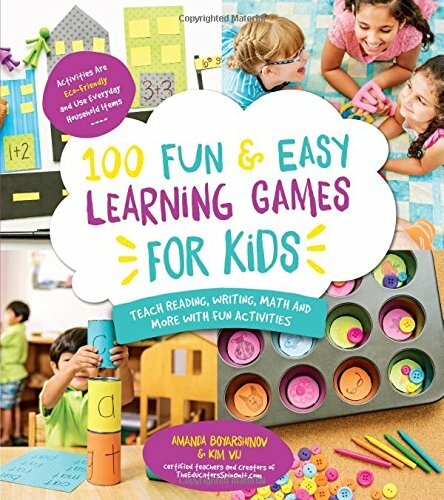 Kim, one of the authors of 100 Fun & Easy Learning Games for Kids (affiliate), was kind enough to send me a copy so I could check it out for myself. I was NOT disappointed. 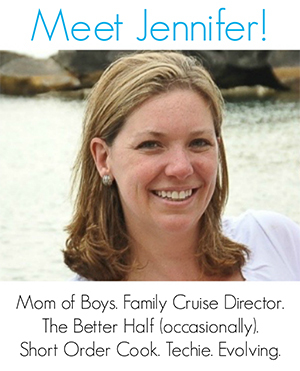 I’ve known Kim online for quite some time and she produced such great ideas on her site The Educators Spin On It. I wouldn’t expect anything less. 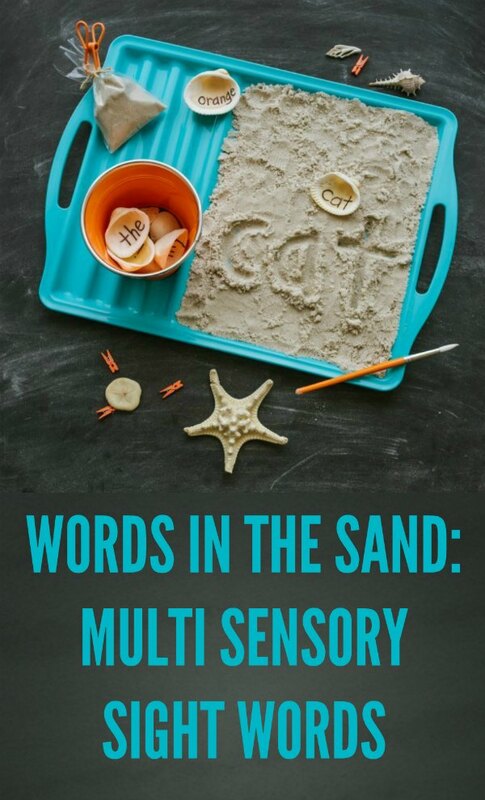 Just so you can get an idea about what kind of multi-sensory learning activities you can expect, the publishers were generous in letting me share their Words in the Sand activity. This post contains affiliate links. 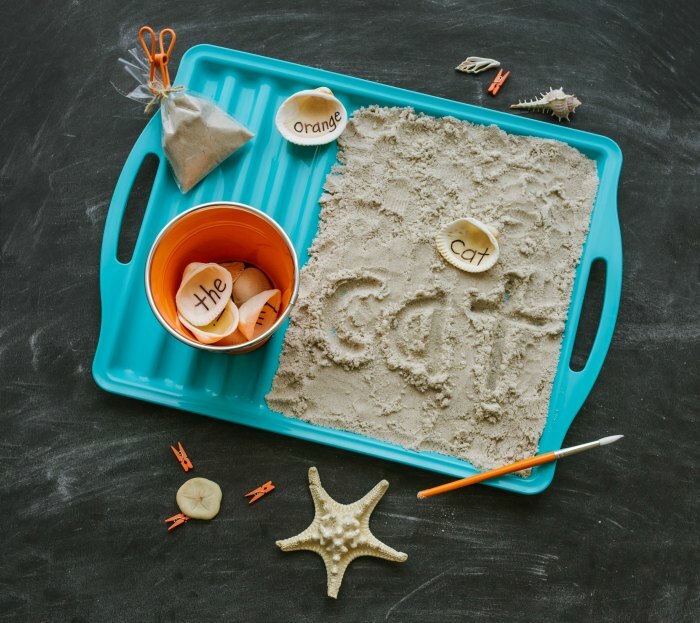 In this activity, your child finds hidden words on seashells in the sand to encourage your child to learn to read. Players quickly memorize each word by writing it into the sand in a texture-rich experience. This multi sensory sight words game is designed to engage children’s senses as they learn their sight words! Write sight words onto seashells. Place the seashells in one container. Place sand in the second container or tray. Players take turns pulling seashells from the container. Once they’ve selected them, players identify the word and write it in the sand container. Continue to play until all the word seashells are discovered and written in the sand. Create letters in the sand for younger players to discover and write. Form words from letter shells in the sand and write them in the sand container. Write numbers on the shells for players to discover and write. 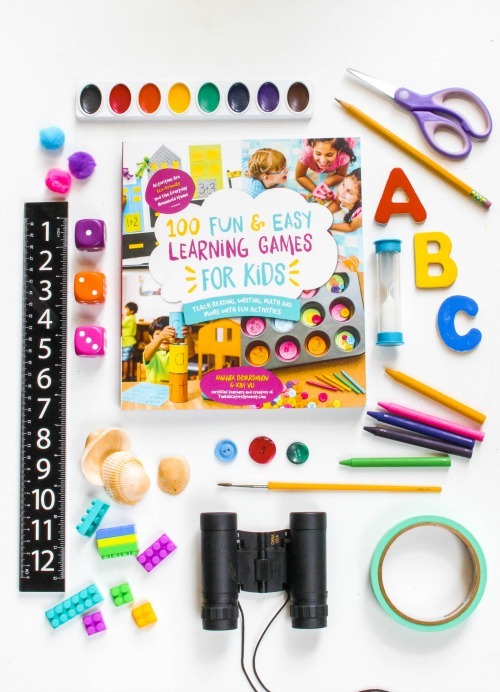 From two experienced educators and moms, 100 Fun & Easy Learning Games for Kids prepares your children to thrive in school and life the fun way by using guided play at home to teach important learning topics―reading, writing, math, science, art, music and global studies. Turn off the TV and beat boredom blues with these clever activities that are quick and easy to set up with common household materials. The huge variety of activities means you can choose from high-energy group games full of laughter and delight, or quiet activities that kids can complete on their own. All activities highlight the skill they teach, and some are marked with a symbol whether they are good for on-the-go learning or if they incorporate movement for kids to get their wiggles out. In Zip-Line Letters, children learn letter sounds as the letters zoom across the room. In Parachute Subtraction, place foam balls in a parachute, then kids shake the parachute and practice subtraction as they count how many balls fall off. Kids will have so much fun, they won’t even realize they’re gaining important skills! The activities are easy to adapt for all ages and skill levels. 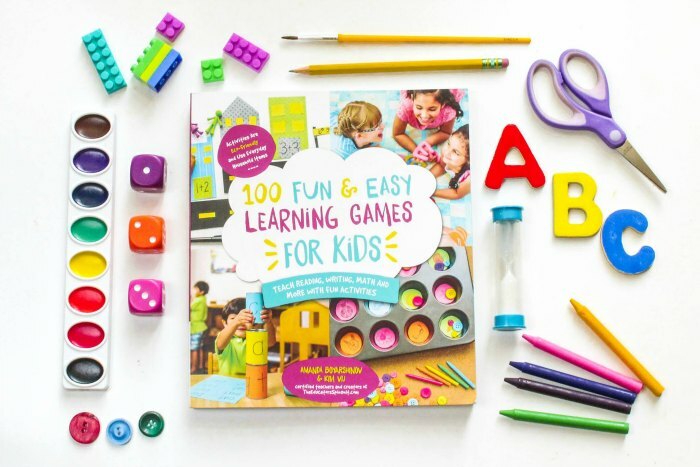 100 Fun & Easy Learning Games for Kids is the solution for parents―as well as teachers, caregivers or relatives―to help kids realize how fun learning can be and develop what they’ll need to do well wherever life takes them.